Rapid initial air vents feature a large orifice, allowing them to discharge large quantities of air in a short time. This makes them the ideal choice for removing air from water tanks and water supply pipes during startup. Once the initial air has been discharged, the valve will close and typically will not open again during normal operation. However, when pressure in the pipes falls to near or below atmospheric pressure, the valve will open once more. This allows air to enter, preventing vacuum conditions from forming within the pipes and allowing liquid to be easily passed downstream. Though rapid initial air vents are able to discharge large quantities of air quickly, once the valve closes, it will not open again as long as a pressure differential is maintained. If it is necessary to continously discharge air during normal operation, please use this product together with an automatic air vent. Only one moving part: the Free Float®. This eliminates concentrated wear and provides long service life. 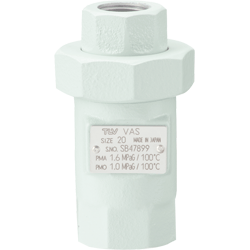 * Once the valve closes after discharging initial air, it will not open again, even if air enters the air vent. If air is expected to accumulate during normal operation, please use together with an automatic air vent. * When air is at 20°C, under atmospheric pressure, and pressure differential is 0.1 MPa. When water is pumped through the system, the initial air inside the piping is pushed into the air vent by the pressure of the flow. The float remains in the lower part of the air vent, allowing the valve to remain open and air to be rapidly discharged. After the initial air has been discharged, water begins to flow into the air vent, causing the float to rise and close the valve. 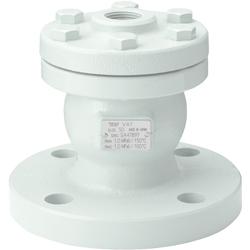 Once the valve closes, it will remain closed and will no longer discharge air even if more air flows in and the water level inside the air vent drops. Only when the pressure inside the vent approaches vacuum conditions will the valve open again, allowing air to enter and water to drain. 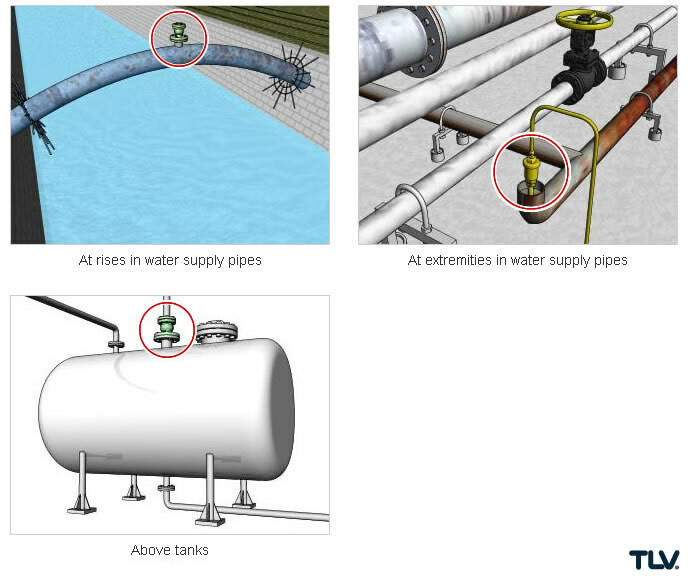 These products contain no levers, hinges, or other components which may typically cause valves to malfunction. 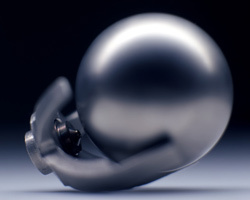 As the Free Float is the only moving part, wear and malfunctions are minimized. The float surface provides a nearly infinite number of valve faces to close against the seat, allowing the valve to excel in durability.